If you’re looking for an excellent investment, you may not need to consult a financial advisor. 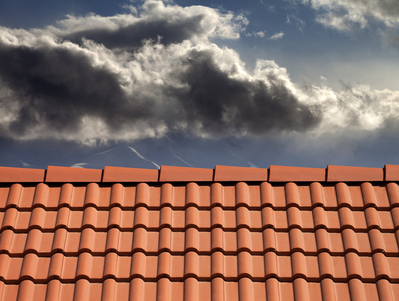 A great return on your money can be had by selecting one of the strongest types of roof tiles on the planet. The material used for these tiles is concrete. There are many reasons why you should consider concrete roof tiles. For all the details, consult with a qualified Orange County roofing company. The experts on staff can go into depth regarding the known advantages of this material. Even if you don’t go with concrete, a discussion will at the very least give you a better understanding of roof dynamics. Yes, it’s true that concrete roof tiles likely will have a higher price tag than alternate materials, Nevertheless, the value they provide makes them a smart buy in the long run. Consider, for instance, their undeniable durability. Basically, the material can last for centuries. Thus, if concrete is selected, roof replacement is a service you’ll never need from an Orange County roofing contractor. Even asphalt shingles pale in comparison to the infinite durability of concreate. With the former, you’ll be carrying out a replacement every two or three decades. Concrete will just be getting warmed up. Complementing the high durability of concrete is its low maintenance requirements. Because of the material’s intrinsic strength, wind, sun, and other natural elements will inflict very little damage to concrete. It’s going to take something much more powerful than these natural occurrences to even put a dent in these tiles. Which leaves you one less problem to worry about. Do you live an in an Orange County city such as Aliso Viejo? Be sure to ask your Aliso Viejo roofer about concrete roof tiles. If you have questions about concrete roof tiles, be sure to reach out to Luke Roofing. A long-established Orange County roofer, we provide prompt, reliable expertise for every residential roofing and commercial roofing need. No matter where you live in OC, you can count on Luke Roofing for the most efficient, reliable roofing solutions.